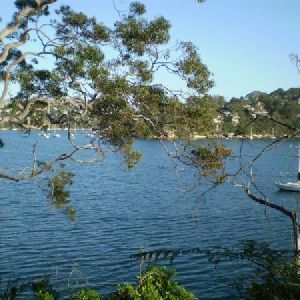 From the south end of Manly Dam, this walk heads south through the park and crosses King St near the car parking area. 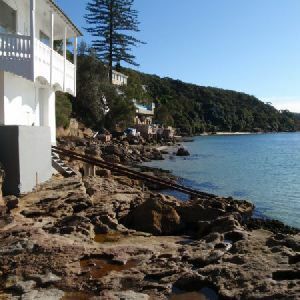 The walk follows the bush track up the steps, following the signs ‘McComb Hill Track’ and ‘Nature Trail’. A short way up the hill, the track comes to an intersection signposted as the ‘Mc Comb Hill Nature Trail’. 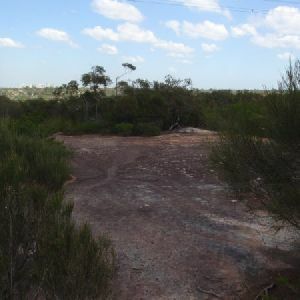 Turn right: From the intersection, this walk heads west along the narrow bush track for approximately 100m before passing an intersection of the McComb Hill walk. (This is currently under revegetation and there are signs stating walkers should not take this route.) This walk heads west, passing by the small trails that lead up the hill south (these are not official trails and should be avoided), and climbs a number of rock staircases. Along the way, there are some good views over Manly Dam, and many signs offering information on the flora and fauna. The track passes close to a few cliff edges (due care required). After some time, the walk comes to an intersection marked with a green sign saying ‘Balgowlah Track’. Turn right: From the intersection, this walk heads north, gradually descending along the narrow bush track. There are many informative signposts and some good examples of the flora of the local area. Soon the walk comes to a very clear intersection signposted as the “Nature Trail / Wildflower Walk”. Turn left: From the intersection, this walk heads north along a narrow but well-maintained bush track, until coming to an intersection with a ‘Wildflower Walk’ signpost. (There is a small track off to the left heading up to Wakehurst Golf Course, ignore this). The walk continues to head north-west along the bush track until coming to an intersection just to the north of the end of the King St and a picnic area. Turn left: From the picnic area,this walk heads alongside Manly Dam, following a narrow track with high vegetation on either side. The track crosses several wetter areas, where footbridges have been installed. 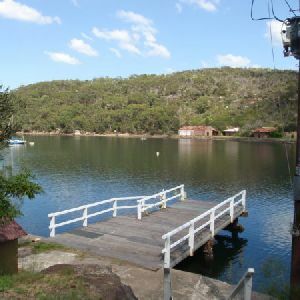 At the end of Manly Dam, the walk follows the creek further north, past some waterfalls and holes – the smaller waterholes are quite picturesque. The main waterfall is quite sheltered by vegetation and somewhat hidden from the main track. The walk comes to an intersection with a wide management trail. Turn right: From the intersection, this walk follows the ‘Circuit Track’ sign along the management trail, away from Wakehurst Parkway. The trail immediately bends to the right and crosses Manly Creek. Soon, it heads up a small hill and turns back to the south. The walk soon comes to an intersection with another management trail, uphill on the left. Continue straight: From the intersection, this walk heads south-east along the management trail, passing an intersection with a small track, before coming to an intersection with a track, and an ‘Allambie Heights Town Centre’ sign. Continue straight: From the intersection, this walk heads south along the track until reaching an intersection with a management trail, and ‘Nyrang Road’ signs. Turn right: From the intersection, this walk heads west down the rough management trail, in the opposite direction to the ‘Nyrand Road’ arrow. 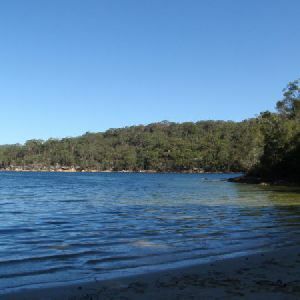 After approximately 100m, the trail comes to the beach on Manly Dam. The trail turns left and heads south along the waters’ edge, soon joining up with a boardwalk and track. The track then climbs gently away from the water, and comes to an intersection with another track, signposted ‘Alternate Track to Picnic Areas via King St’. Turn right: From the intersection, this walk heads south, down the track towards the water until reaching the northern end of Manly Dam wall. 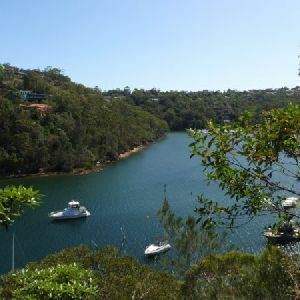 Continue straight: From the northern bank of Manly Dam, this walk heads across the top of the dam wall, offering some impressive views of the dam and the parklands from very close to water level. The walk continues to the southern bank of the dam. Around 6km of this walk has short steep hills, whilst the remaining 890m has gentle hills with occasional steps. 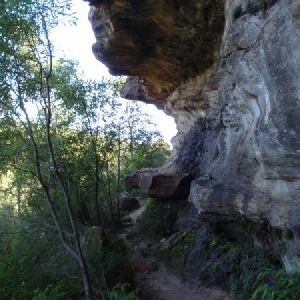 Around 4.6km of this walk follows a clear and well formed track or trail, whilst the remaining 2.7km follows a formed track, with some branches and other obstacles. Around 7km of this walk is clearly signposted, whilst the remaining 760m has directional signs at most intersection. Around 4km of this walk requires some bushwalking experience, whilst the remaining 3.3km requires no previous bushwalking experience. 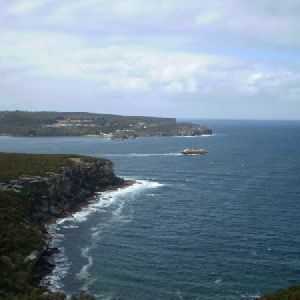 Around 7km of this walk has limited facilities (such as not all cliffs fenced), whilst the remaining 780m is close to useful facilities (such as fenced cliffs and seats). 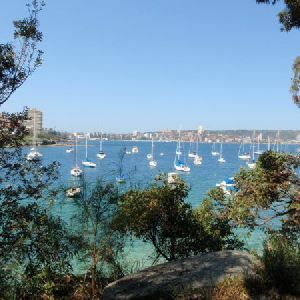 A list of walks that share part of the track with the Manly Dam Circuit Walk walk. 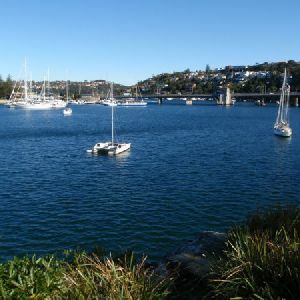 A list of walks that start near the Manly Dam Circuit Walk walk. 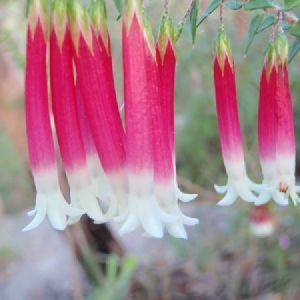 http://new.wildwalks.com/wildwalks_custom/includes/walk_fire_danger.php?walkid=nsw-mwwmp-mdcw Each park may have its own fire ban, this rating is only valid for today and is based on information from the RFS Please check the RFS Website for more information.